"If you have a body, you are an athlete." The Limitless Program is an online group coaching program for people who want to get FIT, STRONG and HEALTHY. The great Bill Bowerman once said "If you have a body, you are an athlete." Everyone should have the opportunity and guidance to be their own athlete, to push beyond what they are capable of, to find out what can be achieved with hard work, consistency and accountability. The Limitless Program is designed to do just that. Every program will challenge you to be better each and every day. From heavy compound lifting to get you STRONG, to high energy conditioning work to get you super FIT. 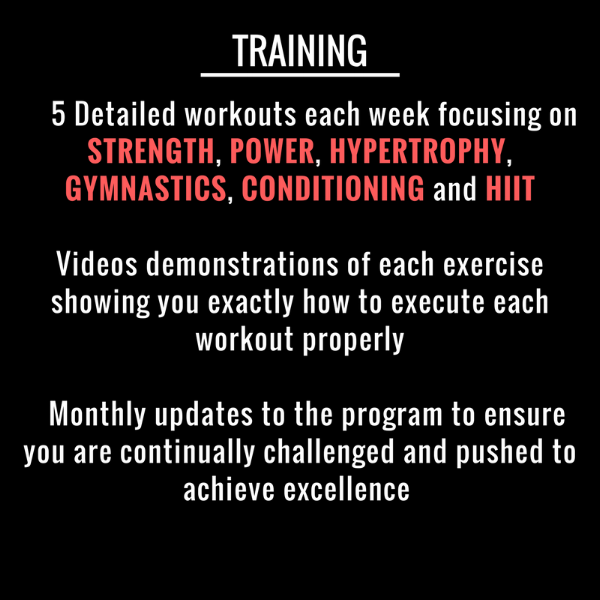 Each and every week we will be covering a variety of programming techniques so you can 'Be Your Athlete'. The program is done in 4 week blocks but you can start anytime and complete each 4 week block as you go along.